Designated µMP09, the new enclosure supports a maximum power output of 550 watts at 85-180 Vac and 1100 watts and 80-263 Vac. The new hold-up module is designed for high-reliability applications and enables the supply to continue providing power for a period of time if the input power is interrupted. A maker of flat panel display test systems is using Artesyn’s iHP series modular high power system for its new OLED panel test products. One of the world’s leading makers of UV light therapy products is using the LCM600 series, taking advantage of the medical approvals of this 600W cost-effective AC-DC single output power supply to reduce their own healthcare certification process. A leading wireless equipment manufacturer needed a power system for its latest antenna array system. It required high power density, efficiency and reliability for its radio frequency power amplifier. Artesyn’s ADH700 half-brick DC-DC power module, combined with the power of Artesyn’s ADQ500 quarter-brick DC-DC power supply to drive the system’s digital management unit, offered the perfect solution. Includes a 2400 watt model, the highest power available in the industry in this form factor, offering a market-leading power density of 75 watts per cubic inch (W/in3). One of the world’s fastest growing telecom operators is using Artesyn’s AVD100 series of 100 to 120 Watt, 1/16th brick DC-DC converters on the embedded controller board inside its new 4G base station (BTS). Our new LGA50D dc-dc module offers one of the highest current density ratings in the industry. This innovative non-isolated unit offers two independent and configurable 25 amp, 50 watt outputs, which can also be combined to a single configurable 50 amp, 100 watt output. A leading manufacturer of intensive care unit (ICU) equipment is using an Artesyn open frame AC-DC power suppy in its next generation patient monitor. 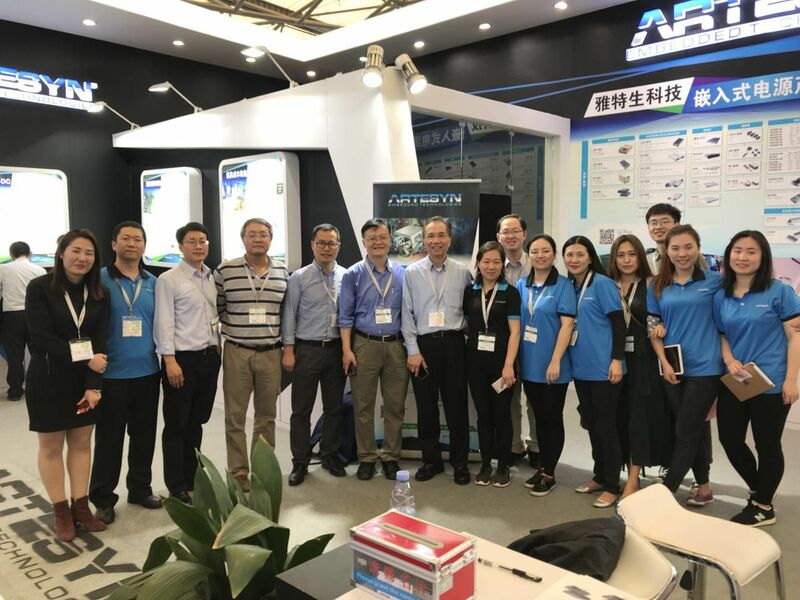 One of the largest suppliers to the Chinese data center market has worked with Artesyn to create a customized centralized AC-DC power supply for its next generation ODCC servers, providing high density, high efficiency and lower total cost of ownership. 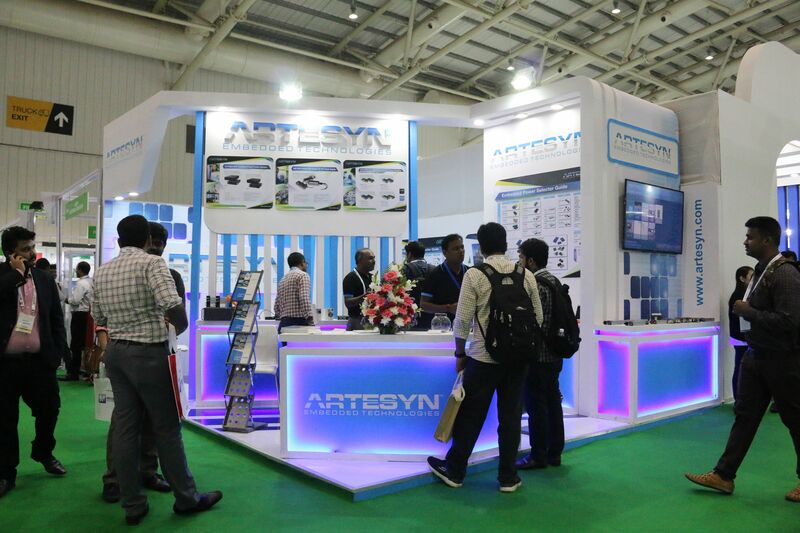 Power experts from Artesyn helped to showcase our latest solutions at Electronica India, the country's premier event for components, systems and applications. Artesyn Embedded Technologies today announced an extension to its iHP series configurable intelligent high power system, with the addition of a 12 kW case to the existing 24 kW case. With standard features including power factor correction, variable speed ‘smart fans’, digital control, a five-year warranty and a typical efficiency of greater than 90%, Artesyn is offering premium functionality at prices that compete with more basic power supplies. Our 80plus Platinum efficiency 1U front-end power supply is being used in a high resolution, LED matrix switching system for video walls. A developer of telecom and networking equipment has selected Artesyn’s DS650 series AC-DC power supply for its new core network switch.